Some reasons for commercial lock replacement include moving into a new commercial building, losing the key to a lock, obsolete locks, a break-in, and having former employees with keys to your business property. In addition, we recommend you to upgrade the locks in case they are not working properly or your security standards have changed. We have experienced commercial locksmiths who can help you to secure your business in the best way possible. 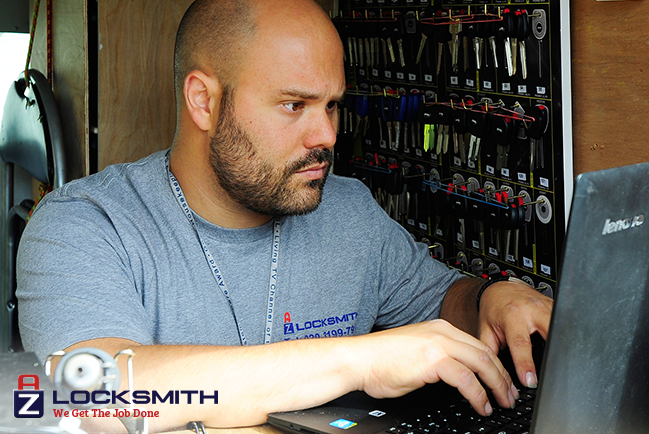 Therefore, a qualified technician will determine if you need to change, repair, or rekey your commercial locks. Lock replacement will make your commercial building accordingly more secure from theft, break-in or illegal access. No matter what type of business you have, our security experts have all the necessary equipment and knowledge to replace business locks at an affordable price and with a 1-year warranty. High security locks are harder to open by drilling and are thicker than the average lock. These locks can be duplicated only with a security card provider and are hard to pick or bump. Electronic locks include locks that require a PIN or special password to open them instead of a key like a traditional lock. This number can be changed anytime in case of a breach of security. Mortice locks consist of two parts: one part is installed into the edge of the door and the other part is installed in the door frame. These locks are very secure and make your door highly secure according to the U.K. Standard. We can program such lcoks according to a process done by an authorized user. This is suggested for interior rooms containing confidential information. Card Reader locks require a card to gain access. These locks are typically used for entries to private businesses, hotel rooms, and other rooms requiring high security. This is usually used for a door that is for emergency use only so that people can exit a building as fast as possible. These locks are required to have in workplaces and public buildings as per the British Law. Our technicians are all reliable, trained, licensed, and will guarantee you a friendly service. We always use the top brands to ensure quality and are always available at your convenience. Don’t hesitate to contact us and ask about our service if you want to make a security upgrade for your business property and need a consultation of our commercial locksmiths. Call us today to book an appointment with one of our representatives.